Mobilk - Trend Micro Incorporated, a global leader in consumer digital information security, announced three new apps for Windows 8 available through the Windows Store. In addition to these innovative new apps that enable consumers to effortlessly protect their digital lives, Trend Micro also made improvements to the Titanium family of products to stay ahead of consumer concerns regarding PC security. Trend Micro has developed a trio of new apps that are now available for download through the Windows Store. The first app, Trend Micro SafeGuard, is a tablet- optimized web browser with built-in security technology for use with Windows 8. Users will enjoy a browsing experience that includes Safe Search Results ratings on major search engines like Bing, Google, and Yahoo, as well as social networking security on leading sites like Facebook, Twitter, Pinterest, LinkedIn, and Google+. In a recent survey conducted by Trend Micro with consumers in the US, Australia and UK, 55% of respondants said that they were likely to look for a browser that included security plug-ins like those included in SafeGuard. Trend Micros SafeGuard is always free for download in the Windows Store and is also included in Titanium subscriptions. Trend Micros Go Everywhere app will also be released through the Windows Store. A simple-to-use solution that will help protect Windows 8 tablet PCs from loss or theft, Trend Micros Go Everywhere includes functionality that will locate tablets with just one click. Whether the missing device was misplaced on a users travels or as nearby as the cushions of their couch, Trend Micro Go Everywhere allows them to locate their device using a worldwide Google map, or by quickly sounding a one minute alarm. 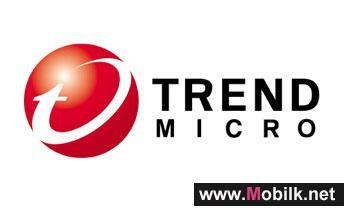 Either way, Trend Micro has got users covered on their Windows 8 tablets and PCs. The beta version of the app is available for a limited time free in the Windows Store, and is also available to Titanium Maximum Security subscribers free of charge. Trend Micros DirectPass, coming soon, will feature a new free app in the Windows Store, as well as a compatible version of DirectPass for Windows 8 desktops. Perfect for synced password protection and management across both environments, DirectPass helps make saving passwords online easy by encrypting saved passwords and helping provide an extra layer of security for banking and financial transactions. Among its key features, Trend Micro DirectPass provides in-the-cloud synchronization across multiple devices, making password management easy while in the office, at home, or on the road. Trend Micro has not only pioneered new apps to complement users digital experience on Windows 8, but has also made a number of improvements to its flagship security product, Titanium, in order to give users one of the best possible security experiences and freedom to explore with Windows 8 and Trend Micro Titanium. Trend Micro Titanium makes it easy to to safely stay connect to family friends and colleagues with its innovative social networking security. Titaniums Privacy Scanner for Facebook is a new solution that lets users stay on top of their Facebook settings, allowing them control of who sees what on their online profiles. Also new to Titanium this year is expanded social networking protection - now users can quickly and easily identify and manage dangerous links on Facebook and Twitter but also on other social networking sites like Pinterest, LinkedIn, Google+, MySpace, Mixi, and Sina Weibo. Trend Micro Titaniums protection promises not to slow users down. Using less disk space and memory than some other competitive products, Trend Micro Titanium was built with performance in mind and is a "set it and forget it" solution that works seamlessly in the background, allowing users to effortlessly enjoy the protection of Trend Micros technology. Trend Micro Titanium makes it easy for users to share their memories and files with family and friends in the cloud through Trend Micro SafeSync, which is a standard add-on to Titanium Maximum Security. With a 5 GB SafeSync account at their fingertips, Titanium Maximum Security users can sync and store photos, music, videos, and other important files and easily send them to friends on any operating system. Titanium makes it easy for parents to allow their children the freedom to explore the Internet while also staying safe with additional parental controls. With straightforward tools to filter online content and control application access, limit Internet time, and detailed reports about Internet usage, Titaniums parental controls are a complement to Windows 8s built-in parental controls. Report defines ICT potential to reduce carbon emissions in Saudi..
Making Information and Communication Technology (ICT) a central part of efforts to decrease CO₂ (Carbon Dioxide) output has the potential to reduce..
Ericsson: Middle East Mobile Subscriptions Grew Seven Times Faster..
New research from Ericsson (NASDAQ:ERIC) has suggested that mobile penetration is outpacing births rates across the Middle East. 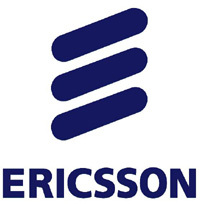 According to the..
Ericsson launches Telecom Customer Relationship Management (CRM) in.. Thanks to mobile broadband, an ever-increasing number of people and devices are connected. 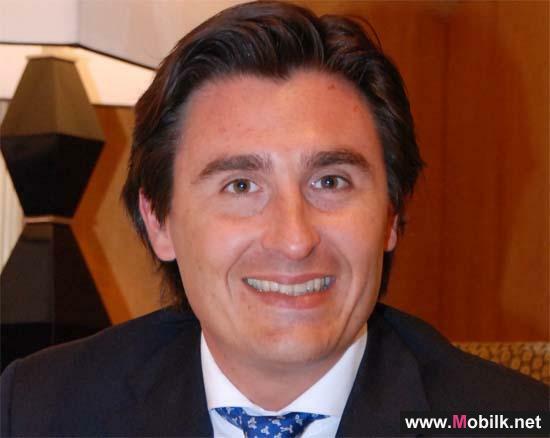 This phenomenon provides more opportunities for operators,..